Success starts first thing in the morning, so start the day right. While the rest of the world might be queuing up for their morning Starbucks, there are many people who are well on their way to make their day as productive as possible. Research shows that alert mornings improve productivity1, so to help you get there we’ve picked out the best ways to optimise our mornings and here’s how we’re trying to make it work for us at Create + Adapt. Gone are the days of you waking up 15 minutes before work and stumbling in out of breath. According to ThriveGlobal the most successful people pluck up the courage to say no to the snooze button and yes to an early start2. For those that find themselves tapping away for extra doze time, inefficient sleep is the culprit. Not only does intermittent snooze leave you groggy when rolling out of bed, but getting less than 7 hours has a significant impact on your productivity for the day ahead3. At C+A: Pav is our sleep pro and designated early bird. She’s got her finger on the pulse, finding new ways to optimise her REM cycle. 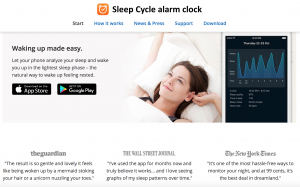 Her latest obsession is the SleepCycle app which tracks your sleep patterns and wakes you up during light sleep, making it easier to be up early. A day that begins with negative thoughts is unlikely to be a good one. According to life coachTony Robbins4, it’s important to take “fifteen minutes to thrive” and appreciate the things around you. Making an effort to be thankful, be it with your family, friends or career, you’ll be starting your day off how you mean to go on. At C+A: We like to think of ourselves as a team of givers (not tooting our own horn or anything). Sharing motivational messages to start our day over Slack can always evoke a smile from someone; be it a funny article, an interesting update or a meaningful quote, we’ve always got something to be thankful for and we’re not afraid to share it. Being too ‘busy’ is common amongst us all. Between work, family, being a social butterfly and the endless distractions of an Instagram feed, there just isn’t much time for self-reflection (besides the very early morning, of course). And that’s precisely the time to enjoy some me time because before you know it, it’s ready, set, go! At C+A: Krish loves a bit of meditation on the tube. She takes the time on her regular commute into work, to take notice and switch off. 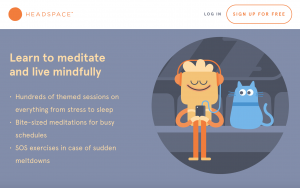 Using apps like Headspace, guided meditation helps her to beat the stress and get geared up for a busy day ahead. We all have that one task on our list that we just don’t enjoy doing, and a good majority of us will persist on delaying this until the very end of the day (or even tomorrow) when your energy levels are to the floor and procrastinations starts to kick in. As Brian Tracy so eloquently describes, you’ve gotta eat that frog. Do the worst thing on your to-do list first thing in the morning – you’ll feel accomplished through the day ahead. At C+A: We try to be an organised bunch, using nifty programmes like Trello to schedule our work and focus on our to-do lists. If it’s on the list, it gets done and with weekly stand-ups put in place, we’re always on the ball ready for our next challenge. Did you know Twitter CEO Jack Dorsey jogs six miles every morning5? Everyone knows exercise is good for them, but what most people don’t know is getting active in the morning releases endorphins that help you feel more energised and awake. 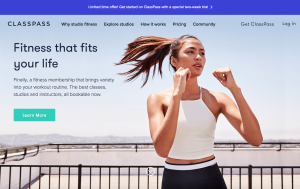 At C+A: Sandy, our fitness fanatic, squeezes in a bit of exercise before work using ClassPass to find all the trendiest spots in town to work up a sweat. As the late Steve Jobs most famously said, “If today were the last day of my life, would I want to do what I am about to do today6?” Finding inspiration is a bigger motivator than any other caffeinated product in the morning. What inspires you to do what you do? And how can you do it better? At C+A: Our CEO, Matt, is always cooking up crazy new approaches to talent acquisition. He swears by his golden fifteen-minute rule, taking the time out to find inspiration and ideas. We can count on him to drive our business innovation. If it tastes great and costs you less than a penny sweet, it was probably his idea. Do you have any morning routines that make your day better? We’d love to hear about them, follow us on Twitter and get in touch! Want to know what our hottest vacancies are? Visit our Job Hub for all our latest jobs.